Summary: A new study reports insulin resistance is linked to accelerated cognitive decline. Executive function and memory are particularly vulnerable to the effects of insulin resistance, Tel Aviv University researchers say. A new Tel Aviv University study published in the Journal of Alzheimer’s Disease finds that insulin resistance, caused in part by obesity and physical inactivity, is also linked to a more rapid decline in cognitive performance. According to the research, both diabetic and non-diabetic subjects with insulin resistance experienced accelerated cognitive decline in executive function and memory. The study was led jointly by Prof. David Tanne and Prof. Uri Goldbourt and conducted by Dr. Miri Lutski, all of TAU’s Sackler School of Medicine. 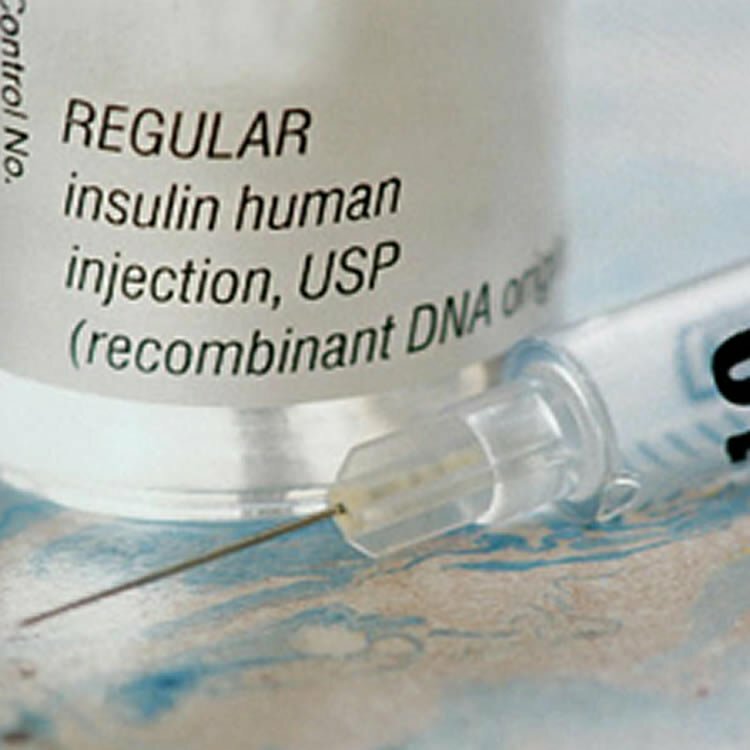 Insulin resistance is a condition in which cells fail to respond normally to the hormone insulin. The resistance prevents muscle, fat, and liver cells from easily absorbing glucose. As a result, the body requires higher levels of insulin to usher glucose into its cells. Without sufficient insulin, excess glucose builds up in the bloodstream, leading to prediabetes, diabetes, and other serious health disorders. The scientists followed a group of nearly 500 patients with existing cardiovascular disease for more than two decades. They first assessed the patients’ baseline insulin resistance using the homeostasis model assessment (HOMA), calculated using fasting blood glucose and fasting insulin levels. Cognitive functions were assessed with a computerized battery of tests that examined memory, executive function, visual spatial processing, and attention. The follow-up assessments were conducted 15 years after the start of the study, then again five years after that. “This study lends support for more research to test the cognitive benefits of interventions such as exercise, diet, and medications that improve insulin resistance in order to prevent dementia,” says Prof. Tanne. The team is currently studying the vascular and non-vascular mechanisms by which insulin resistance may affect cognition. Image Source: NeuroscienceNews.com image is adapted from the AFTAU press release. AFTAU “Insulin Resistance May Lead to Faster Cognitive Decline.” NeuroscienceNews. NeuroscienceNews, 23 March 2017. Background: The role of insulin resistance (IR) in the pathogenesis of cognitive performance is not yet clear. Objective: To examine the associations between IR and cognitive performance and change in cognitive functions two decades later in individuals with cardiovascular disease with and without diabetes. Methods: A subset of 489 surviving patients (mean age at baseline 57.7±6.5 y) with coronary heart disease who previously participated in the secondary prevention Bezafibrate Infarction Prevention (BIP trial; 1990–1997), were included in the current neurocognitive study. Biochemical parameters including IR (using the homeostasis model of assessment; HOMA-IR) were measured at baseline. During 2004–2008, computerized cognitive assessment and atherosclerosis parameters were measured (T1; n = 558; mean age 72.6±6.4 years). A second cognitive assessment was performed during 2011–2013 (T2; n = 351; mean age 77.2±6.4 years). Cognitive function, overall and in specific domains, was assessed. We used linear regression models and linear mixed models to evaluate the differences in cognitive performance and decline, respectively. Results: Controlling for potential confounders, IR (top HOMA-IR quartile versus others) was associated with subsequent poorer cognitive performance overall (β= –4.45±Standard Error (SE) 1.54; p = 0.004) and on tests of memory and executive function among non-diabetic patients (β= –7.16±2.38; p = 0.003 and β= –3.33±1.84; p = 0.073, respectively). Moreover, among non-diabetic patients, IR was related to a greater decline overall (β= –0.17±0.06; p = 0.008), and in memory (β= –0.22±0.10; p = 0.024) and executive function (β= –0.19±0.08; p = 0.012). The observed associations did not differ after excluding subjects with prevalent stroke or dementia. Conclusion: IR is related to subsequent poorer cognitive performance and greater cognitive decline among patients with cardiovascular disease with and without diabetes.